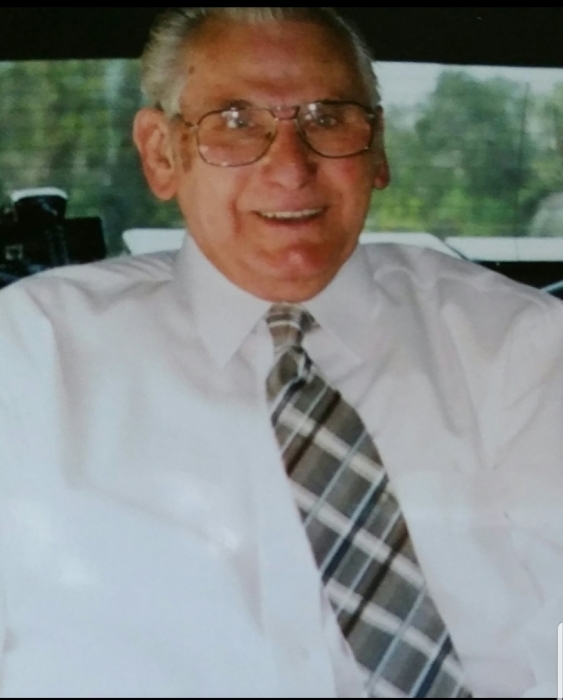 William Russell Rumby, age 92 of Orange, Texas, passed away on Wednesday, January 16, 2019, in Hemphill, Texas. Graveside services will be held at 1:00 PM on Friday, January 18, 2019, at Barrow Cemetery, in Fields, LA. William was born in Appleby, Texas, on November 28, 1926, to Lula Bell Dardin Rumby and Joseph Wilmer Rumby. He was a very dedicated and hard worker. He worked many years as a truck driver. William was a wonderful story teller and enjoyed spending time with his family he loved so much. People always respected his great character. He is preceded in death by his parents Joseph and Lula Bell Rumby, son Gary Rumby, brother Jerry Rumby, three sisters; Wilma White, Helen Davis, and Gloria Jean Connors, and grandson Russell "Rusty" Rumby, Jr.
Those left to cherish his memory are his wife Erma Beatrice Rumby, of Hemphill, TX, son Russell Rumby and Joyce Swan, of Hillister, TX, two daughters, Carol Rowley and her husband, Jack, of Hemphill, TX, and Sheri Zisler and her husband, Darrin, of Clyde, MI, sisters; Doris Hartman of Silsbee, TX, Margie Radney of DeRidder, LA and Bonnie Salyer of Florida, grandchildren: Tana White and her husband Nicky, Casie Clennon and her husband Devon, De'Ann Fontenot, Max Holtzclaw, Johnai Miller, Chans Miller and Cory Boudreaux , as well as eleven great grandchildren.